Radio Enso #69: Dave Ursillo returns! 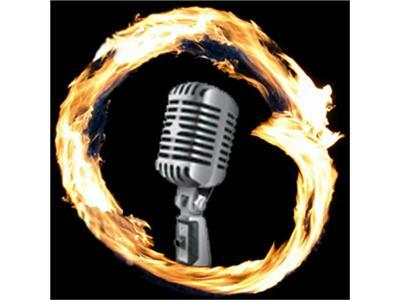 Join me Monday, January 28th at 6 p.m. Pacific/9 Eastern for the return of Radio Enso’s very first guest! In July 2011, Dave Ursillo helped launch Radio Enso when he joined us to talk about his book Lead Without Followers. Now, 68 episodes later, Dave will return to discuss writing, creativity, the Literati (his new community of writers), his latest book of spiritual poetry entitled God Whispers on the Wind, and the crucial importance of putting your creative work out into the world! About Dave: I’m an author and entrepreneur who inspires change-makers for a living. I am a communicator, a connector, a conduit and a life-explorer. But beyond all else, I’m a writer. I believe that written word is the most profound and powerful art of all arts. I write to inspire, to explore, to learn, to create change — and especially to understand. When I’m not falling down a wormhole of rockstar daydreams and childhood superhero memories, you’ll find me reading the poetry of Hafiz and Ralph Waldo Emerson, exploring the teachings of the Dalai Lama or the latest findings on behavioral change from the Positive Psychology movement. In between rocking out at the nearest Shinedown or Red Hot Chili Peppers concert, I’m probably in between ashtanga sun salutations, meditating, or finding a new coffee shop on the streets of New York City. When I’m not on stage speaking about the plight of modern leadership, I’m kicking back with friends over local craft beers. For more about Dave, visit http://www.daveursillo.com.